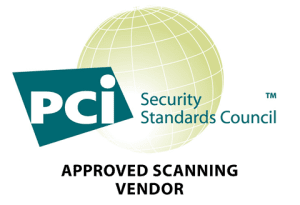 What is PCI DSS ASV Scanning? A Payment Card Industry Data Security Standard Approved Scanning Vendor Scan (PCI DSS ASV Scanning) is a mandated vulnerabilities scanning required to be conducted by banks, merchants and payment card related service providers. Why Conduct PCI DSS ASV Scanning? All companies that process and store client’s payment card transactions details are required to maintain their network security in accordance with the detailed specifications stated under the Payment Card Industry data security standard (PCI DSS). Failure to demonstrate compliance can result in severe restrictions being placed on merchants by the card issuers, including the ultimate sanction of withdrawal of card authorization facilities. LGMS is one of the selected group of approved scanning vendors (ASV) certified by the PCI to carry out vulnerability assessment scans on the merchants’ network to identify any critical vulnerabilities, and to perform the necessary penetration tests needed to prove the integrity of the corporate IT infrastructure. LGMS will conduct the necessary assessment, highlights any vulnerabilities, and works with organizations to address any non-compliant systems in order to achieve compliance with the PCI DSS. LGMS offers a comprehensive support service around the vulnerability scanning that ensures the client fully understands the findings and associated implications within the context of the report. Thus, in addition to the automated scans that the client may request at any time, LGMS will manually oversee the execution of each quarterly scan and oversee the findings in the report to verify on the scan result for any false positives. Moreover, experienced LGMS analysts are available on a business-hours basis to support any queries and provide assistance on the scan results. A fully Managed Service. No installation, configuration or maintenance required. Cost Effective: The PCI DSS ASV scanning service is carried out by our very own PCI Experts, with our own scanning solutions. 1 to 1 Support: Manual verification on scan result – removal of false positives in order to assist you to maintain PCI compliance. Flexibility: PCI DSS ASV Scanning service is available on demand or as a quarterly managed service. Display “PCI Scan Passed” logos on your web site to boost your users’ confidence in you. For more information about PCI DSS, please visit the payment card security standard council.